The 16 oz. 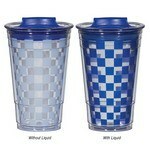 Color Changing Checker Tumbler is a unique tumbler that makes your drinking experience a cut above the rest of the tumblers available. The 16 oz. 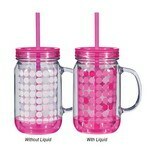 Double Wall Acrylic Tumbler with Straw keeps hot beverages hot and cold beverages cold, as per your requirements. 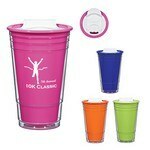 Melodiously promote your brand by using the 16 Oz. 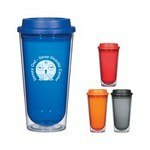 Double Wall Aria Tumbler in your next marketing campaign. The 16 oz. 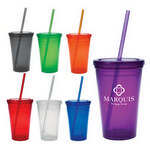 Echo Tumbler is an attractive tumbler that can help raise the brand visibility of most brands. The 16 oz. 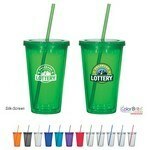 Econo Color Changing Tumbler is attractive and useful. The 16 oz. 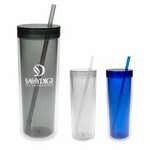 Economy Double Wall Tumbler provides a simple and economical way to promote your brand to a large customer base. The 16 oz. 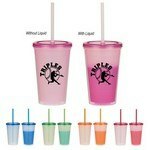 Resort Tumbler is attractive enough to take you away from the monotony of day to day living and transport you to the relaxed ambience of a resort. The 16 oz. 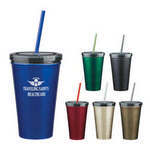 Stainless Steel Double Wall Tumbler with Straw can be an excellent way to promote your company as one that is a strong and steady one. The 16 oz. 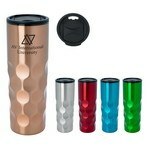 Stainless Steel Travel Mug, with its long lasting value, is an ideal way to strongly promote your brand through time. 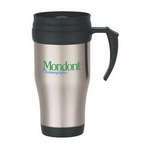 Use the inherent properties of stainless to promote your brand as a dependable one, by imprinting your logo on the 16 oz. 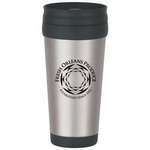 Stainless Steel Tumbler.